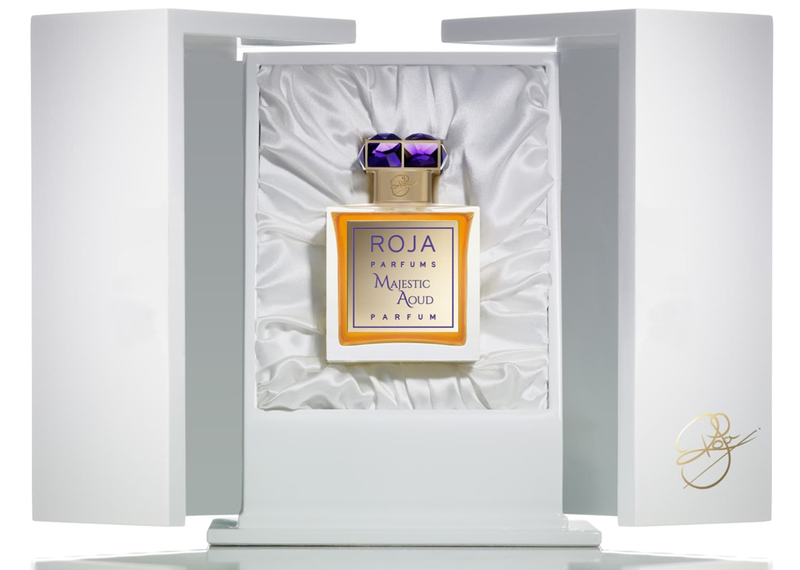 NEW: Roja Dove - Majestic Oud! Thread: NEW: Roja Dove - Majestic Oud! "Bergamot counterpoints the sweetness of Jasmine, Rose, and Osmanthus in this creation, enlivened by Pepper and Saffron, underscored by the warmth of Cedar, Amyris, Guaiac, and Aoud Woods, Gurjum, Cypriol, Patchouli, and Vetiver, the whole sublimated by a sensual, leathery base of Labdanum, Ambrette, Ambergris, Castoreum, and Civet, shot through with a highly distinctive and unusual note of Valerian." - a note from the brand. Majestic Oud was launched in 2018. The nose behind this fragrance is Roja Dove. Re: NEW: Roja Dove - Majestic Oud! Sounds pretty good from the notes. A fragrance buddy of mine who already has Majestic Aoud says this one has the closest real oud smell of any fragrance he’s familiar with. I’m interested. At that sticker price you can already get yourself some nicely aged oud. I’m more interested to know how skanky this one is given the ambrette and civet. Dried Valerian root smells of dirty socks. I wonder how Roja toned down that smell? Is this already being found in the US? No. But I have Osswald looking into it. Might be UK site/ Harrods only for a while. Our fried at Tyson’s Corner could not get this one. This should be available to world wide retails of roja dove fragrances pretty soon. Ive tried it nothing special IMO and that price tag is a tad high. it’s quite simple.... if you love REAL oud oils like Ensar... then RUN to get this. if you find real oud oils to be disgusting, then run AWAY from this! Any new opinions on this? I tried it on a paper at a friend´s who have a discovery atomizer. At first I found it simple, one-dimensional and more dry/woody than oud-ey. BUT some hours later, when I was back home, this paper strip was the one that I really really liked! The heart was lovely, and the dry down was simply divine. How does it work for you who own it, or at least have skin tested it? I like MA a good deal and I’m happy to have it to wear when the mood strikes. I have not found a better real aoud fragrance. One of Rojas best releases from this year along with The Perfume and Chypre Extraordinaire.